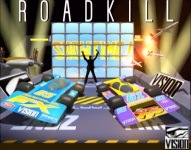 When Roadkill boots up, you can watch a nice rendered and brutal racing intro. The intro is just an AGA anim with an Octamed module with some fx added. 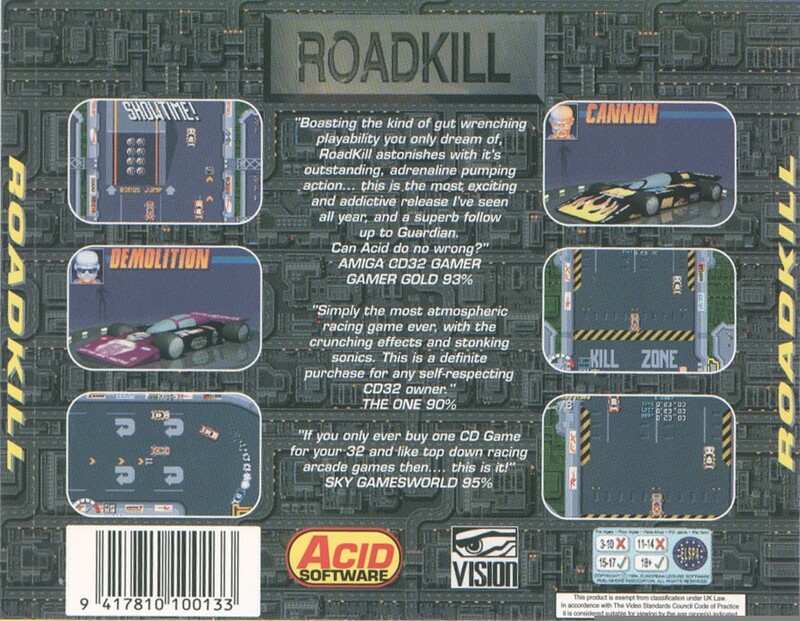 Roadkill could have been just another Super Cars game, but isn't. 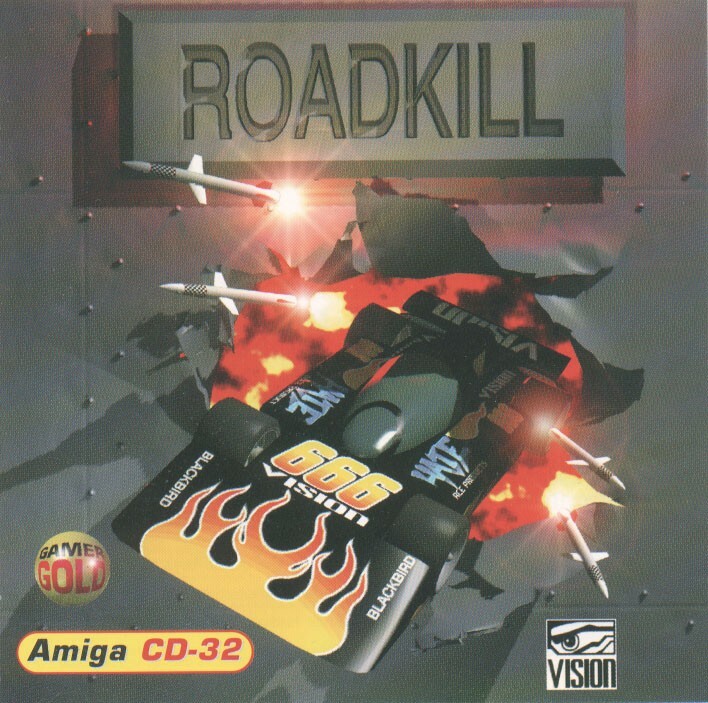 This is a mini-car game with AGA graphics, cool sound, music and action. The game have the Mortal Kombat type of speech and you feel like playing MK with cars. When you start a race, you drive one lap alone so you can learn the track. You cannnot pick up power-ups in this round. When this round is finished, computer cars is added and the race begins. The graphics on the cars looks nice and the anim and controls is good enough for this kind of game. One of the main things that creates lots of atmosphere in this game is when you have done anything and the event music starts depending on what happens. This is extremly cool and the music is just awesome. At the same a MK type speech says something "Kill him", Roadkill" etc.. or some other lines or words. If you shoot opponents with missiles several times, the music and score gears up and when you kill 5 of them it almost seems like the game "blows" up when you get Jackpot on 50.000.000... Damn cool. You can collect $$$, weapons and car upgrades and sometimes when you have the money you can upgrade your car. 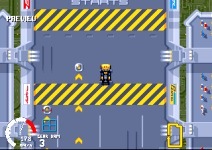 There is short arrows to show the path to where the power-ups are because the game runs at high-speed. Everything about this game is nicely done, buy where is low-volume cool ambient CDDA music and the 2 player mode? Support for 4 players with adapter had been nice too, but no.. Still the game is a very good 1 player game and is worth getting because it's one of the better games on CD32.